As the repatriation process is underway Rohingya refugees in Bangladesh on Saturday asked for guarantees that their safety and security would be protected and that they would be granted Myanmar citizenship. A Rohingya activist said, "We need citizenship and that our houses be rebuilt. We must be allowed to live in our houses. Rohingya refugees in Bangladesh on Saturday asked for guarantees that their safety and security would be protected and that they would be granted Myanmar citizenship before being repatriated to Rakhine state. 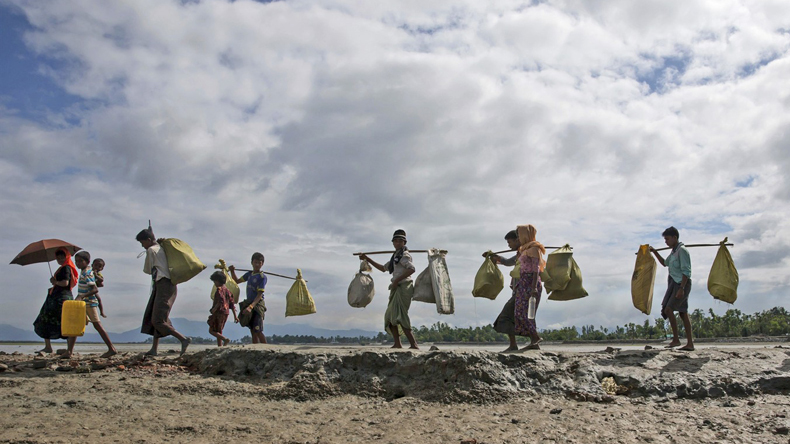 Bangladesh and Myanmar agreed earlier this week to complete the refugees’ return process within two years. Rohingya community leader Sirajul Mostafa, who lives in Bangladesh’s Kutupalong refugee camp, told Efe news that his community was demanding the “complete” implementation of the recommendations made by an advisory commission on Rakhine state led by former UN Secretary-General Kofi Annan before being repatriated. The commission proposed addressing the rights of Rohingyas to resolve sectarian violence in Myanmar’s western Rakhine state, including measures such as speeding up the verification process for citizenship and granting citizenship by naturalisation. “We are not here to stay, we want our rights back. If we had seen that peace was restored in Myanmar, there would no problem. People would go back directly,” Mostafa said, adding that the Myanmar Army was still allegedly carrying out torture as part of an ongoing campaign. He added that no one from the mostly Muslim minority had yet been asked to prepare for repatriation. A Rohingya activist said: “We need citizenship and that our houses be rebuilt. We must be allowed to live in our houses. We have to be recognized as an ethnic group and those who carried out barbaric attacks against us must be brought to justice,” he said. The Rohingya demand for these preconditions comes as the UN special rapporteur on human rights in Myanmar, Yanghee Lee, is on a visit to Bangladesh. Myanmar and Bangladesh signed an agreement on November 23 to repatriate the Rohingyas, hundreds of thousands of whom have fled sectarian violence in Rakhine state in Myanmar since August. According to the latest figures released by the UN, more than 665,500 have crossed into Bangladesh since last summer.